In December 2014, COSI was launched on a super-pressure balloon from the Long Duration Balloon (LDB) site just a few miles from McMurdo Station, Antarctica. See a video of the launch taken by COSI’s Alan Chiu here and by SPIDER’s Jon Gudmundsson here. The team arrived in Antarctica in the first week of November and worked day and night to get the instrument ready for lunch by the first week of December (it didn’t help that we weren’t able to get into our building until November 15th). Check out our blog posts from the COSI’14 campaign here. And, for those who want a little more action, check out the time lapse made by Alan Chiu that shows the whole integration of COSI in our little Weatherport. After all that hard work, unfortunately, the balloon developed a leak during the second day of flight and the mission was terminated shortly after to increase chances of a complete recovery. The COSI payload was returned to Berkeley in April 2015 with minimal damage reported. After a year of testing and making minor improvements, COSI is ready to fly again! 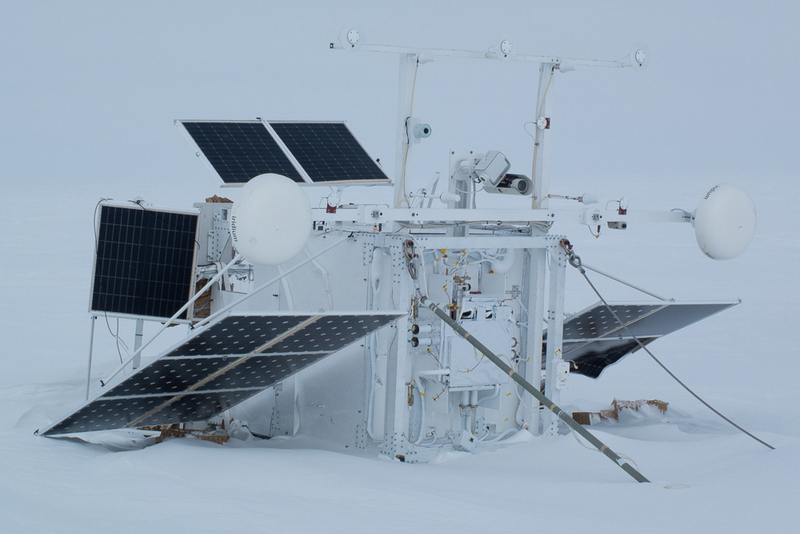 The COSI payload landed in the Eastern Polar Plateau 350 miles from McMurdo. Photo by Scott Battion of COSI before disassembly/recovery. Learn more about the recovery adventure here.